I’ve recently developed a 1Password plugin for Quicksilver that gives you the ability to open up 1Password items in 1Password, as well as giving you an action to ‘Go & Fill’ logins directly from Quicksilver. 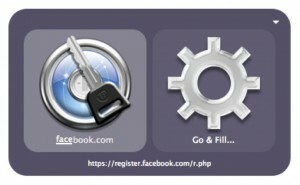 To download this plugin, open up Quicksilver and go to the Plugins preference pane and tick ‘1Password’. Or alternatively, download the plugin from the Quicksilver website. If there’s something missing from the plugin, or you’ve found a bug then let me know. Well I knew it needed to be something obvious but I’ve spent over two hours trying to figure it out. I couldn’t figure out how to install the 1password plugin after downloading it. Tried clicking on Bitversion, looking in the JSON and build folders to see if there was an installer in either of them. Read the readme file, Read through all the messages on google groups about the plugin, etc, and nada. The problem as it turns out, is that I wasn’t paying attention (on a few occasions, as I tried re-downloading a few times) when downloading the plugin from github. I was downloading the download.zip file as that was the most prominent download box, so the assumption was that that was the most up to date version of the software, typical of other program download hubs. It’s only when I clicked on another download link to the plugin from another site, and was not given the download.zip file option, that I opted to download version 1.0 of the plugin knowing it was the latest version. Naturally version 1.0 installed as expected, and 1password plugin showed up in the plugins directory as expected. I just wanted to make a note of this, just in case anyone else finds themselves in the same situation. As I’ve had other plugins where I had to manually put the folder or files in their corresponding areas, so I though maybe I just needed to get up to speed on how to properly install plugins in quicksilver (since I just started using quicksilver yesterday), or that maybe the reason it wasn’t installing properly was because I had my 1password agile file inside of dropbox. As it turns out, I had just downloaded the source file instead of the latest package file. Those thoughts were my thoughts exactly – why can’t Quicksilver and 1Password be married together!? It’s Sydney university that I’ll be spending a year at, so we may just bump into each other! Patrick, this is an unbelievable godsend to me, you have no idea. 1password is one of those rare times when I can’t quicksilver my way to something I want to access and one of the main causes of me reaching for the mouse. Delighted that somebody had the skills to get this up and let the rest of us benefit – sincere thanks. And have an awesome time in Aus, go nuts – you’ll love it.